Looking for a sandwich for a picnic in the park? Use ripe summer figs that are fantastic when in season. 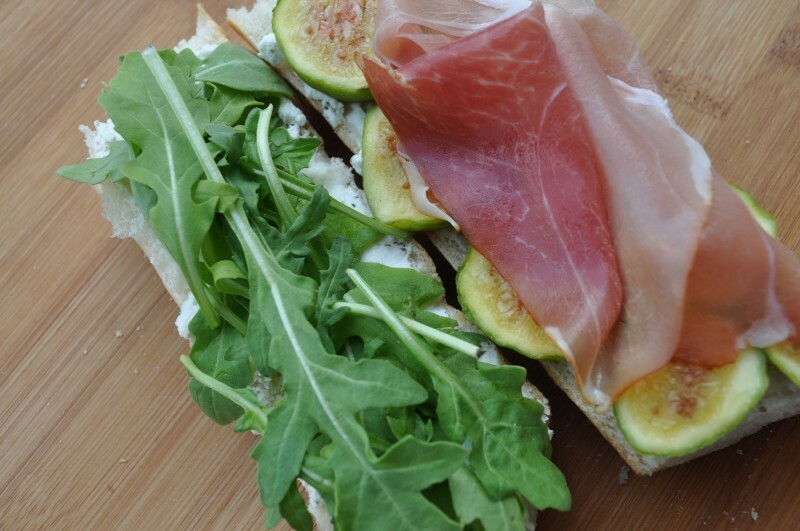 The Prosciutto, Goat Cheese and Fig Sandwich is savory and sweet in one. 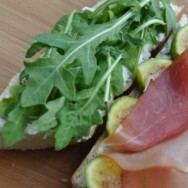 Tart and peppered goat cheese is complemented by spicy arugula, sweet figs and savory prosciutto. It is the perfect balance. 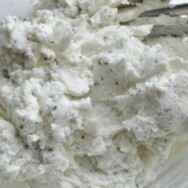 Double or triple this recipe for a lunch party with friends because it is that simple. 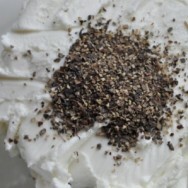 Remove any tough stems from the arugula and discard. 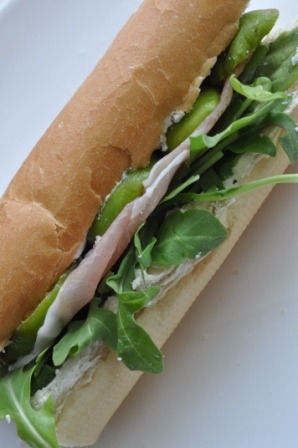 Place 1/4 cup arugula on one cut side of each baguette. 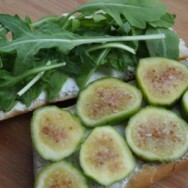 Arrange a single layer of sliced figs on the other cut side of each baguette. Place 1-2 slices of prosciutto on top of figs. Serve the sandwiches open-faced or close the sandwiches to pack to go. 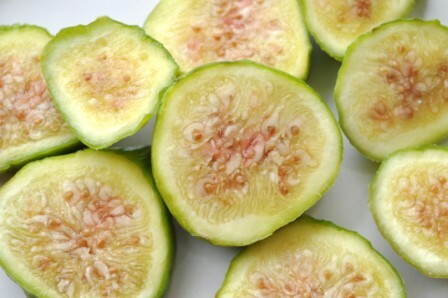 Notes: If green figs are not available, use any sweet and ripe fig such as Black Mission. Optional: Warm the baguettes in an oven at 275 degrees for a few minutes before preparing the sandwiches.